Quite the journey from 6th to 7th edition. Glad to see it’s finally coming out! Well done! Thanks to you and your colleagues for this book. I’m looking forward to reading it. Thanks for the hard work Alex and Pavel, I have been looking forward to this for far too long. I am extremely pleased to hear you were able to include changes that were added in Redstone 2, I believe you made the right call. Alex, Pavel, really excited to see this come out – excellent work! zerosum0x0, thank you so much for your work over the last few days as well – you have helped me more than you know. Will it be available in PDF rather than dead-tree form? So glad to hear that the 7th edition has finally come out! Congratulations ! 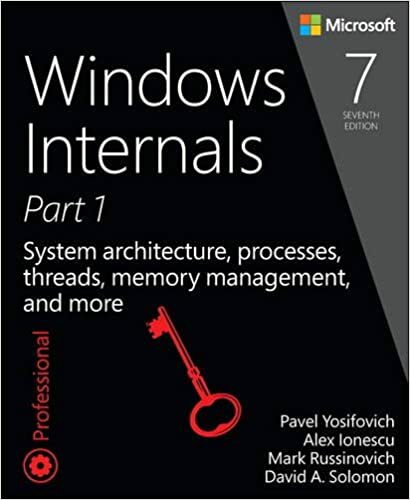 Windows Internals 7th edition – Fantastic book, eagerly awaiting part 2! When will part 2 be released? Microsoft has started the contract for it. So I would guess in at least 12 moths. Part 1 was excellent. I found the security portion a little dry to read 🙂 but nonetheless fantastic! And Part 2???? We’re still waiting! Microsoft needs to publish these books BEFORE the OS comes out, not 2-3 years later…. But lately- and unfortunately- Microsoft has started skipping documentation altogether, when once upon a time having a good documentation was a distinct advantage and a pro for dealing with MS technologies. Great stuff! Thank you for helping to shed light on the opacity of the Windows internals. Just started with reading. Some of the mentioned security mechanisms or assurances about not accessible kernel memory e.g. read somehow strange now with Spectre/Meltdown in mind. Both flaws really messed up a lot. Will there be any special part in the second part of the book covering measures especially invented for these two flaws? Is there fresh information about part 2 release date? Just a little question. I always loved to read the windows internals books and i have learned so much with them. But it is already over one year since the first part of the 7th edition has been released. Is there an estimated release date for the second part yet? I can’t wait to start to read! Awesome book..Any update on part 2 publishing date? Sometime in 2019 — Microsoft Press has not yet approved the book for publishing. Sorry, we do not control this! For Spectre, I used a patched OS with the latest up-to-date browsers that support mitigations against it, and the latest Microcode. Yes, in Part 2 we will cover these new mitigations. Where can one get assistance with this book? The email address mspinput@microsoft.com printed in the book just bounced my email. I have an issue with the CPU Sets experiment…. is there any update for publishing date? You can post a comment on the GitHub page for the book tools — myself and Pavel will see it. Amazon now has pre-order for part 2 for shipment in July 2019. Is this correct?